The Crow's Feet quilt block is technically an eight patch block, but rarely is sewn together row by row as that just gets cumbersome. Instead it is constructed as an uneven nine patch since that just makes the sewing easier. I have assigned this quilt block to an intermediate level of difficulty, simply due to the number of pieces in the block. None of the patches are difficult to construct. You will be making half square triangles and flying geese units. 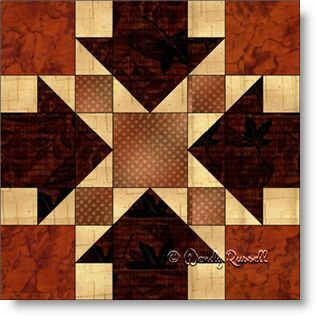 The two sample quilts illustrated look very different and that is simply because of the choice of layout of the blocks.